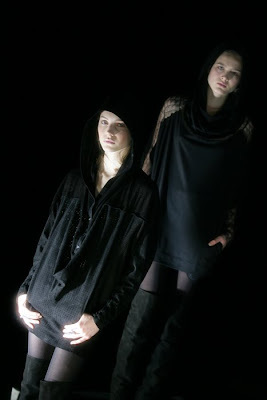 NY Collections Fall 2009, Jen Kao presentations was interesting. No runway. All the Models were just standing. Yes, just standing for 2 hours! This is the 3rd collections for the Jen Kao. The first one was "Black", 2nd was "White" and this one was "Black & Gray".